Savory intermediates find widespread application in convenience food such as ready meals, dehydrated noodles and soups. Savory intermediates are also used in food products such as chips, nuts, fruit snacks, pretzels, popcorn and corn chips. Consumer landscape across the globe is witnessing a significant change in taste preferences, thereby driving demand for a variety of flavor ingredients of taste such as ethnic, exotic and spicy. Currently, preference for snacks and ready-to-eat meal or beverage among millennial and generation z populations is increasing. Enthusiasm for different flavors increased consumer spending capacity and greater exposure to international food products can be attributed to the rising preference for processed food. As these food products are embraced for their flavors, use of savory enhancer in the food industry has gained significant momentum. In 2019, Ohly introduced Ohly-Go Wall, a new yeast cell wall product which combines the health benefits of beta-glucans and mannan oligosaccharides (MOS). In January 2019, Lallemand, a global yeast- and bacteria-based product manufacturer entered in the partnership of Ohly. Lallemand is also a global supplier of inactive yeast products that are used in savory and health applications. In 2017, Lesaffre, a leading savory intermediates manufacturer acquired Sensient’s Yeast Extract Food Business based at Strasbourg. Sensient is a producer and seller of brewer's yeast extracts for animal feed and human savory industries. After the strategic acquisition, all savory flavor production of Europe is focused in the Felinfach’s factory located in the United Kingdom. In 2018, Synergy Flavors acquired Janoušek, an Italian natural flavoring supplier. The supplier’s expertise in natural Italian flavors will enable Synergy to expand its R&D and innovation activities in the dairy, confectionery, savory, alcoholic, neutraceutical and non-alcoholic categories. Yeast extract and yeast products remain highly preferred among other savory intermediates owing to their nature of origin. Yeast extracts find extensive application as flavoring agents and salt reducing ingredients that are used in frozen and canned soups, bakery, meat, sauces and other savory mixes. As consumer preference is shifting toward natural food ingredients, savory intermediates extracted from yeast are highly preferred among food manufacturers. A new opportunity for yeast extract as a savory intermediate is found in the area of plant/vegan-based food and meat alternative space wherein significant developments are underway. Natural origin also gives yeast extract a clean-label edge, thereby driving the demand for yeast extracts as savory intermediates. Taste preference continues to evolve and the trend remains distinct at a regional or local level. Demand trends for different types of foods in the region reflect different taste preferences of the regional population. 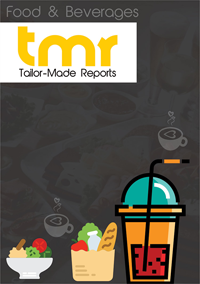 Well aware of these trends, manufacturers in the savory intermediates market are aligning their businesses according to regional taste preferences. World leading manufacturers have launched country-specific savory ingredients to sustain market revenues at the global stage. Along with country-wise categories, regional distributors also keep track of evolving taste preference for exotic cuisines in the domestic market. Savory snacks market is likely to witness steady growth prospects on the back of increasing demand for packaged and processed foods. While savory snacks are considered as junk foods, with manufacturers sifting toward healthy food ingredients, demand surge will continue in the coming years. Further, popularity of savory snacks among millennial and generation z populations will further propel the application of savory intermediates in the food industry. Significant demand for savory snacks in the countries of Asia Pacific region is likely to present lucrative opportunities for savory intermediates market in the region. In these developing countries, expanding middle class, increasing demand for packaged food and presence of leading market players will fuel the savory intermediates market growth in the coming years. Developed economies of Europe and North America also present lucrative opportunities in the savory intermediates market wherein living standards complement the savory snack demand.